Polycystic kidney Disease (PKD), also known as polycystic kidney syndrome, is a genetic disorder of the kidneys, caused due to the presence of multiple cysts or fluid-filled sac-like structures. 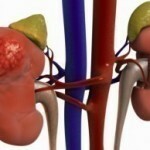 These cysts result in the kidneys becoming enlarged and interfere with their normal functioning. This disease causes damage primarily to the liver and pancreas, but in some cases, it could even damage the heart and brain. 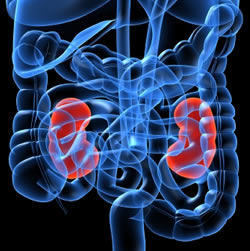 The kidney acts as an excretory organ and when someone has PKD, the kidney cannot function effectively as a result of which the toxins that would have been excreted from the body remain inside the body. If this condition is left untreated, it can prove to be life-threatening also. Autosomal dominant PKD: This is the more common type of PKD. Symptoms usually develop between the ages of 30 and 40, but they can begin earlier, even in childhood. Some people do not experience the symptoms and so, the disease may be discovered and revealed only when tests are conducted for treating other diseases. Autosomal recessive PKD: This is a rare inherited form of PKD. It is more severe than the other type of PKD and its symptoms can begin in the earliest months of life, even in the womb. About 90 %of all Poly Kidney Disease cases are autosomal dominant PKD. PKD (both Autosomal Dominant and Recessive) are caused by inheriting the genes with the codes for the disorder from one or both parents. However, in the case of Autosomal Recessive PKD, there is a further mutation of the gene, which makes the severity of that type of PKD more pronounced. Depending on the symptoms of the patient, the treatment of Autosomal Dominant PKD varies. Over-the-counter pain killers may be used to ease the pain that is associated with the disease. 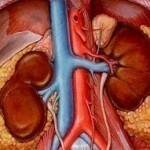 However, care must be taken not to take pain killers that stress the already bad kidney. For high blood pressure associated with PKD, simple lifestyle changes are recommended. Dietary changes are suggested and it is also essential to have a regular exercise routine. Urinary infection, if they arise may be treated with antibiotics. It is important to treat urinary infection as soon as it occurs in order to prevent the infection from spreading to the cyst, as it is hard to treat the cyst for an infection. 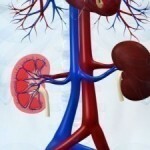 If the kidney fails, then Hemodialysis is recommended or a kidney transplant may have to be done. There is currently no cure for Autosomal Dominant PKD. The above mentioned treatment options are used to prolong the life span of the patients and minimise their pain. Medicines can be used to control high blood pressure, and antibiotics can control urinary tract infections. Eating increased amounts of nutritious food and using growth hormones improves growth in children who are below normal stature. In response to kidney failure, patients must receive dialysis or transplantation.